Modern interior doors with uncompromising quality and high environmental safety. 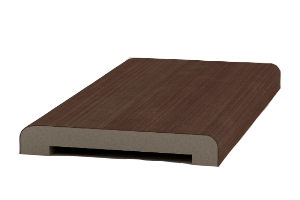 The structure of the doors is a solid MDF finished with Touchline film with the effect of a 3-D natural wood structure. 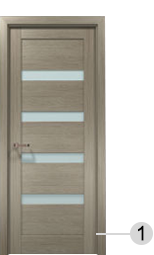 The door finish is resistant to chipping, cracking or micro scratches making them a good alternative to veneer doors. 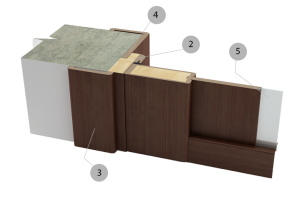 The door structure is a solid MDF finished with a Touchline film with the effect of a 3-D natural wood structure (Belgium). The door frame made out of pine wood, covered with a layer of 1/8″ inch (3mm) MDF. Finished with Touchline film with the effect of a 3-D natural wood structure. Finger joint pine wood finished with Touchline film and soundproofing seal. MDF with Touchline film finishing. 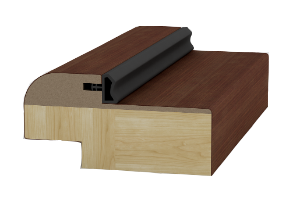 Produced with 10 mm thickness for connection to the door jamb without the use of nails. 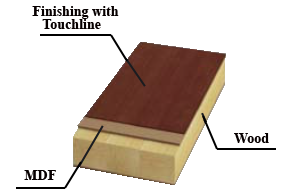 Standard sizes ~3 7/8″ (100mm) and ~7 7/8″ (200mm) width.